Have you been missing out on the special product shares this summer? At pick-up Thursday you can sign up for fall shares of these same products! As an added bonus on Thursday, Backyard Bees will be there in person to help with sign-ups and answer any questions you might have about staying squeaky clean with their local-made soaps. Backyard Bees soaps are all natural, small batch soaps–made by one of our first Sunnyside CSA coordinators. 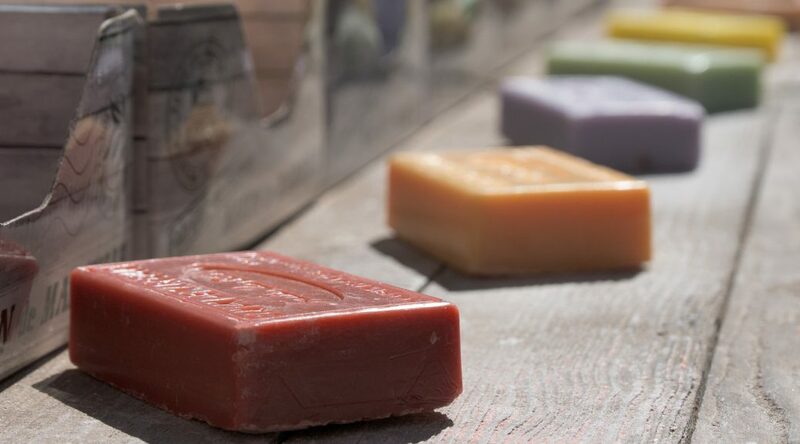 This connection gives all of our members access to cold-processed, hand-made soaps at great prices. This season we’ve been enjoying selections like wild dandelion tea combined with honey and beeswax straight from Backyard Bees own hives. We also had a special members-only bar, Coco Loco, with a light, fresh scent and a long-lasting lather–and are excited for upcoming combos like Charcoal Mint, Green Tea with Honey & Turmeric, and Cucumber Borage. All the bars are made to refresh your skin with a mix of natural elements and essential oils. If you’d like more info about Backyard Bees, check out their website www.backyardbeesnyc.com, or come meet Kathy in person on Thursday!